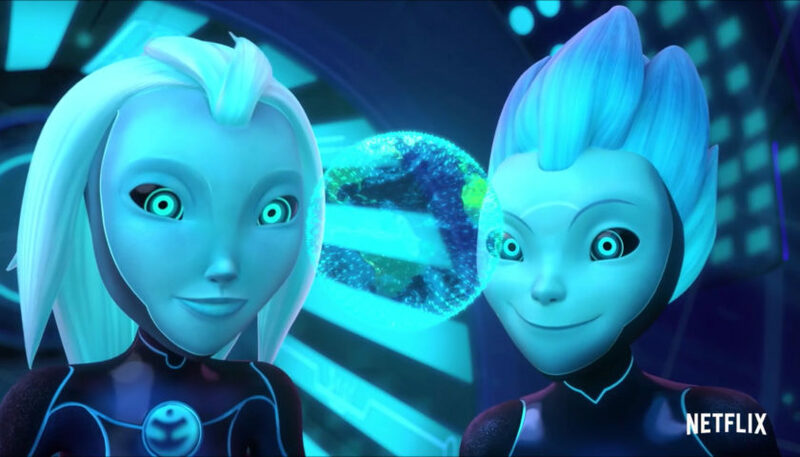 Review:DreamWorks Animation Television has released the full trailer for Guillermo del Toro’s highly anticipated Netflix original series 3Below: Tales of Arcadia, bringing an out-of-world experience exclusively to Netflix December 21. From the seven-time Emmy Award-winning team behind Trollhunters, 3Below is created and executive produced by Guillermo del Toro. Rodrigo Blaas, Marc Guggenheim and Chad Hammes also serve as executive producers. The star-studded voice cast also includes Andy Garcia, Nick Frost, AlonAboutboul, Chris Obi, Uzo Aduba, Cheryl Hines, Tom Kenny, Haley Atwell, Danny Trejo, and Ann Dowd. Additionally, The CrystalMethod created the main title theme that can be heard in the main title sequence. Returning talent fromTrollhunters includes Emile Hirsch, Charlie Saxton, LexiMedrano, Steven Yeun, Cole Sands, Kelsey Grammer and more in epic crossover episodes that bridge the events of Trolhunters and 3Below in surprising ways. DreamWorks Animation and Netflix are releasing a brand-new adventure set in the imaginative world of Guillermo del Toro’s Tales of Arcadia, titled 3Below.